In an effort to improve the area’s economic prospects, county officials have worked in recent years to secure funding to refurbish roadways and sewer systems—but they also know that, in a globalized marketplace, old-school infrastructure is not nearly enough. That’s why, in 2009, Orangeburg County applied for, and received, $18.65 million in stimulus money to finally give the area access to high-speed broadband internet. County Administrator Bill Clark and his colleagues envisioned a municipal, or muni, network that could reach roughly a quarter of Orangeburg’s rural population, including just over three thousand households and one hundred businesses. Such networks are thought to be a good option for vast, sparsely populated rural areas because laying cable across them is a costly proposition, one that’s hard for private companies to justify without a greater guaranteed return than such areas can typically provide. When cities, counties, or public utilities own and operate the networks instead, however, they can provide low-cost, high-quality access to the Internet to their residents. Localities can finance them through a number of avenues, including public-private partnerships or bonds. But the titans of telecom aren’t operating on quite the same wavelength. Since last January, AT&T, CenturyLink, and Time Warner have contributed just over $146,000 to politicians in South Carolina who back legislation that would cripple networks like Orangeburg’s. It’s only one example of a broader campaign by telecom companies to protect their cartel at all costs—even at the expense of keeping the country’s poorest on the wrong side of the digital divide for many years to come. CORPORATE RESISTANCE to publicly-owned internet networks dates back to the fabled days of dial-up. In 1995, companies lobbied successfully for Texas to enact a law barring municipal entities from providing certain telecommunications services. In response, a number of national organizations lobbied Congress to include a provision in the landmark Telecommunications Act of 1996 that would pre-empt states from enacting laws that would bar “any entity” from providing telecommunications services. But in 2004 the Supreme Court ruled in Nixon v. Missouri Municipal League that that pre-emption was too broad (more on the decision here). If Congress wanted to restrict states from exercising traditional state powers—including instructing municipalities on what services they could provide—it had to say so explicitly, the Court decided. Since then, nearly half the states have enacted barriers to public communications initiatives. The first such laws were “flat-out, in-your-face” bans—outlawing municipal networks outright. But more recently, telecoms began pressing for state-level laws to establish a “level playing field”—a wireless market that doesn’t pit private companies against public providers. These laws typically impose onerous regulations on public networks that invite costly litigation and frequently lead to delays and cost overruns. While these laws do not ban muni networks, they do effectively regulate them out of existence. The industry’s argument blends two distinct strands that share similar DNA: that the public sector is too incompetent to do what private companies supposedly do so well, and when it tries, it is violating the basic precepts of limited government. Of course, this corporate activism was made possible courtesy of the American Legislative Council (ALEC), the conservative policy shop supported by telecommunications companies like CenturyLink, Comcast, and Time Warner. Last December, Bloomberg BusinessWeek profiled Louisiana State Bill 877, an ALEC-stamped measure that saddled prospective municipal networks with a bevy of unrealistic regulations and revenue requirements. Meanwhile, the North Carolina legislature was busy passing a similar ALEC-based bill. Craig Settles, a broadband industry analyst based in Oakland, calls the North Carolina law—lobbied for heavily by the telecom industry—“off the chain,” and lists those passed in Utah, Nebraska, and Texas among the worst. “They try to level the subtlety; will play the free market card, the unfair competition card,” Settles says. The industry hasn’t been entirely deaf to the needs of the poor. In 2000, AT&T tried to bridge the digital divide via “U-verse,” a fiber-based neighborhood Internet service ostensibly designed in part to bridge the gap between rural communities and cities. But on a regular investor’s conference call this past February, CEO Randall Stephenson announced that AT&T will only continue building U-verse in cities where service is already readily available. “We’ve all been trying to find a broadband solution that was economically viable to get out to rural America, and we’re not finding one to be quite candid,” Stephenson reported. Meanwhile, investing millions to block rural broadband apparently remains a more economically viable proposition. For now, then, the game certainly appears to be rigged. But change could be afoot—both on the regulatory and industry side of the equation. 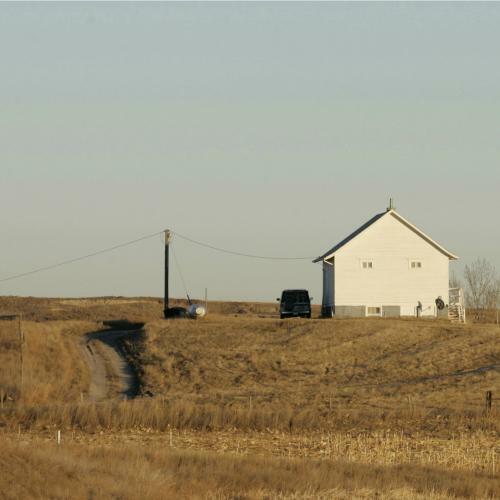 Last week, a bipartisan group of lawmakers from states with large rural populations wrote to Federal Communications Commission Chairman Julius Genachowski, asking that the FCC curb new rules that could threaten proposed high speed Internet networks in rural areas. The letters request that the FCC provide “more certainty to broadband providers,” and spelled out that more broadband means more jobs. More intriguing is the fact that the federal government’s stimulus dollars are already a de facto challenge against the federalist status quo. Was the Agriculture Department’s Broadband Initiatives Program—from which Orangeburg County, among others, received funds—intended to warn states against anti-muni network legislation? Perhaps, according to Jim Baller, a Washington attorney who has worked on public communications initiatives for over a decade. The American Recovery and Reinvestment Act (ARRA) stipulates that applicants for federal stimulus money must comply with all state laws in effect at the time they received their awards. Legislation passed or taken up since ARRA might not hold up. “I do not believe that a state can lawfully undermine federally-funded projects by imposing state barriers retroactively, especially after recipients of federal funds have spent millions of federal and matching local dollars in reliance upon the law as it had previously existed,” Baller posits. For now, however, the telecom industry’s intransigence is still victimizing the nation’s poorest areas. West Virginia, Tennessee, and Arkansas rank 48th, 49th, and 50th in median annual income, and 46th, 47th, and 49th in broadband subscribership, respectively, according to a recent piece in iWatch news. Those correlations are hardly a coincidence. But absent a public option, it seems they are likely to remain in the dark. Siddhartha Mahanta is a reporter with The American Independent in Washington, D.C.